[…] This rare and spectacular astronomical alignment, when the Moon passes directly between the sun and the Earth and shadows the surface of the planet, has always given humanity pause. The event of midday twilight is said to even quiet birds. They stop singing, thinking night has somehow come. This significant occurrence was seen as so traumatic or ‘unnatural’ to humanity that since prehistoric times myths and legends have sprung up throughout cultures in attempts to explain the event, or protect against it. Solar eclipses were seen by the ancients as symbols or messages. The ancient Greeks believed they were portents, and warnings of disaster. Certainly a disruption of the established order was seen as frightening and a sign of doom, especially as so much depended on the movement of the sun, guiding beacon for many cultures. The sun or moon being devoured by supernatural entities was a common theme in myths and legends, and a way to explain their sudden and temporary disappearances. The Examiner writes it was believed in Vietnam that a solar eclipse was evidence the sun was being eaten by a giant frog. In Korea it was thought the sun disappeared due to attacks by gigantic hounds. Mythical fire dogs called Bulgae were bid by the lord of a dark realm to chase down and bite the sun and moon. The sun was too hot and the moon too cold to bite for long, and the injured dogs would return without their prize. According to the Serrano natives of California, “an eclipse is the spirits of the dead trying to eat the Sun or Moon. So during an eclipse, the shamans and ceremonial assistants sing and dance to appease the dead spirits while everyone else shouts to try and scare the spirits away,” writes StarrySkies.com. 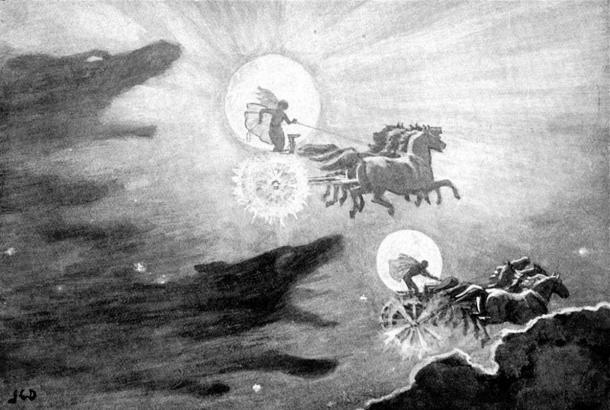 The Vikings explained that eclipses were the doing of sky wolves, or warg, which would chase and eat both the sun and moon. 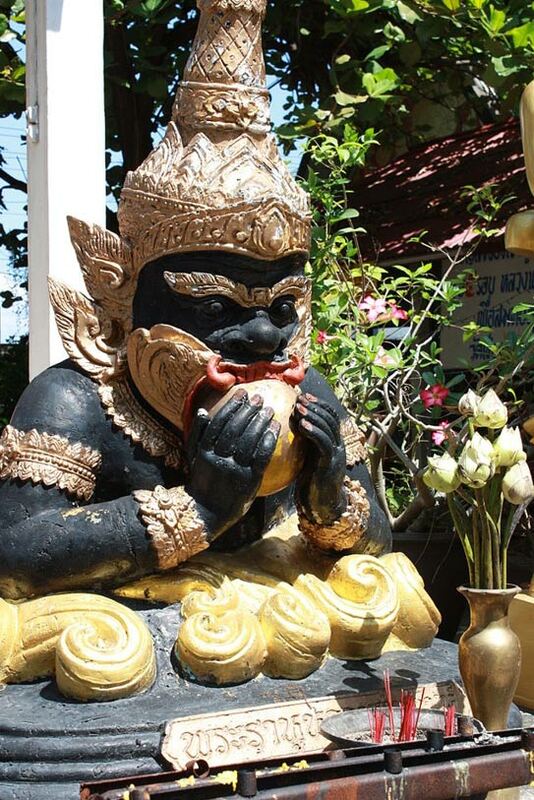 National Geographic writes about a legend wherein Hindu demon Rahu attempted to sneak a taste of an elixir of immortality. The sun and moon told the god Vishnu about Rahu’s crime. Vishnu sliced off Rahu’s head as the demon was drinking, so Rahu’s head became immortal, but his body died. In rage and frustration, Rahu’s head continues to chase the sun and moon, occasionally swallowing them. Because he has no body, however, the moon and sun disappear only momentarily, and fall out the bottom of his head. Many different traditions and practices are still carried out by various cultures to ward off evil during an eclipse, or avoid the bad luck it might create. 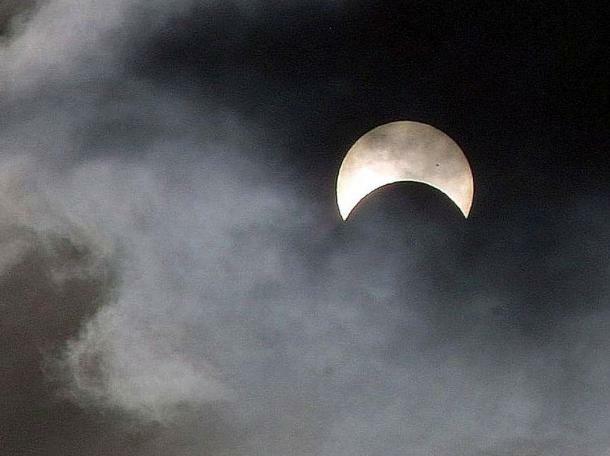 Fasting is still recommended in some countries during solar eclipse, and children and pregnant women are sometimes asked to stay indoors as the dramatic darkness is believed by some to be a danger. Other traditions include banging pots, playing drums, and making noise during eclipses in the attempt to scare off evil forces, and encourage a return of the proper cosmic alignment. No matter the beliefs or legends, events such a solar eclipses do bring people together, if only to share in the experience of the power and drama of the natural world.